Here at KISA we strongly believe that communicating with others is essential to enjoying life. For the last 5 years our customers in Australia and around the world have been enjoying the freedom of staying connected, independent and safe using our simple and unique KISA phone. People who were previously isolated, are finally able to make a phone call. Families and carers can now have a peace of mind that their loved ones can reach out in times of need. Professionals are praising the KISA phone for its simplicity and usability. We are humbled by the amazing response we receive particularly from the United States and Canada where customers are using the KISA phone on AT&T and the T-mobile networks. 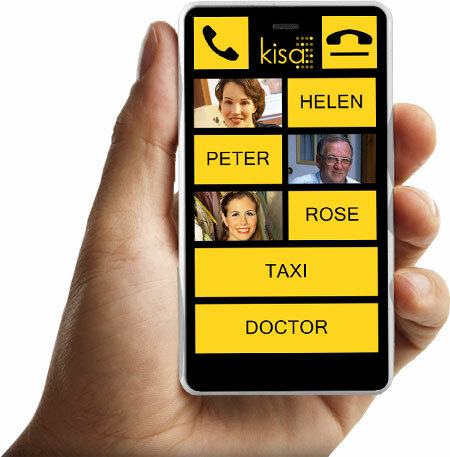 KISA phones can be purchased easily via our website and delivered worldwide by express tracked post. The phone and its GPS services can be updated and managed remotely with online personal KISA account, or by calling our Melbourne-based contact center for global support. We hope you and your family will benefit from our technology and we promise to Keep It Simple Always for you.